From fixing dry turkey to making quick and easy gravy, we've got you covered. Picture this: The house is full of hungry people and there's a turkey in the oven. The smell? Heavenly. The anticipation? High. Then, you pull out the bird, carve it, take a bite — and need to wash it down with a big glass of something. Because despite all of that basting, it's bone dry. Don't despair, home cook! TODAY Food consulted three top chefs to help solve a few major Thanksgiving culinary conundrums. 1. 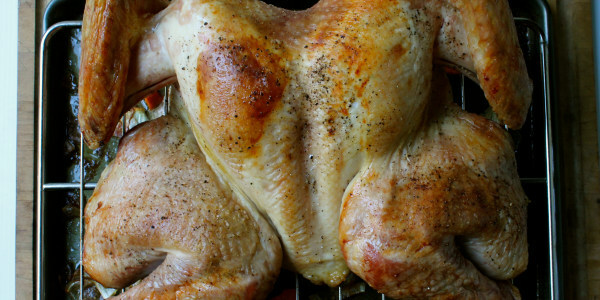 What can you do with your turkey if it ends up too dry or you overcook it? "Although there’s no real going back from an overcooked or dry turkey, you can do this to help: Cut the turkey thick!" star chef Geoffrey Zakarian told TODAY Food. Pro tip: Cover the sliced meat in turkey stock that has been mixed with butter (1 tablespoon of butter per 1 cup of stock). The stock should be very warm, but not super-hot. When it's time to serve the turkey, remove the meat from the stock, plate the bird and top it with gravy. To avoid overcooking in the first place, use a thermometer and cook the turkey to an internal temperature of 150 to 155 degrees, then tent the turkey with foil and let it rest for 30 minutes. The internal temperature should then reach 165 degrees at the thickest part of the thigh. The internal temperature must reach 165 degrees before the turkey is safe to eat, according to the Department of Agriculture. 2. 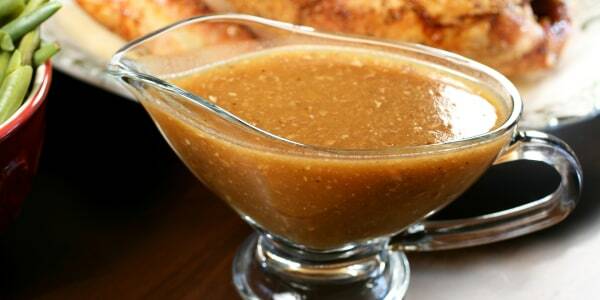 How do you make canned gravy better? "You can doctor up canned gravy and make it taste homemade by adding the turkey drippings," food writer and cookbook author Melissa Clark told TODAY Food. "Just put the turkey roasting pan on the heat, scrape up the browned bits — you can add a little water, wine or broth if they are really sticking — and bring to a simmer. Then pour [the mixture] into the prepared gravy. It really adds to the flavor." 3. When you prepare several warm dishes, it's difficult to serve them all warm. Any tips? "I use my slow cookers to keep dishes warm," chef and TV personality Damaris Phillips told TODAY Food. Pro tip: To create another temporary rack in the oven, set a cookie sheet on top of anything that is being cooked in a deep casserole dish. A microwave can also be used to reheat dishes. Just make the food ahead and warm everything up when the turkey comes out of the oven. Coolers don't just keep things cold. They're insulated, which means they can also keep dishes warm. Fill a cooler with hot water. Place the finished dishes in tightly sealed stackable storage containers. Place the containers in the cooler, cover with a towel and keep the lid closed. Scoop the food into serving dishes when it's time to eat. 4. 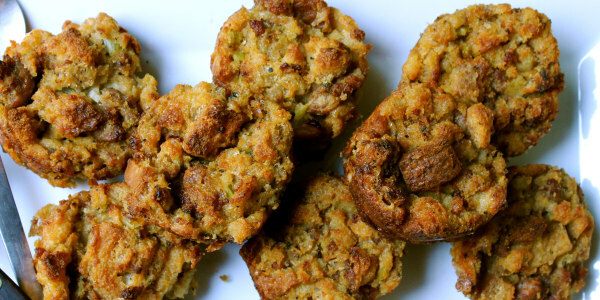 How do you jazz up a store-bought stuffing? "It's easy," said Phillips. 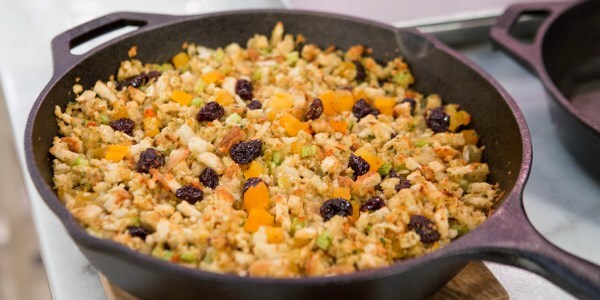 She likes to turn it into a sweet and savory dressing by adding a few simple ingredients, like dried fruit and sauteed onion and celery. 5. 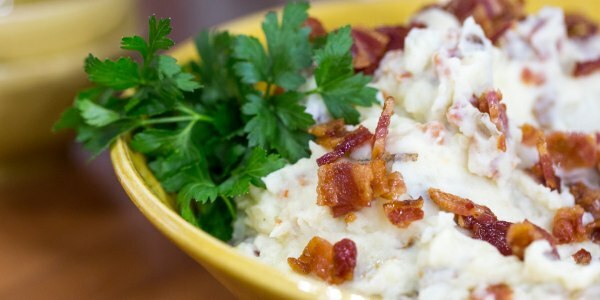 How do you fix watery or runny mashed potatoes? Normally, the spuds would be drained, mashed and mixed with butter and dairy. But let's say someone went overboard with the cream and the potatoes are too runny. Pro tip: To give the taters some heft, place the potatoes in an uncovered dry pot and cook, stirring frequently, until they reach the desired consistency. There's also a way to rescue mashed potatoes that are gluey. 6. 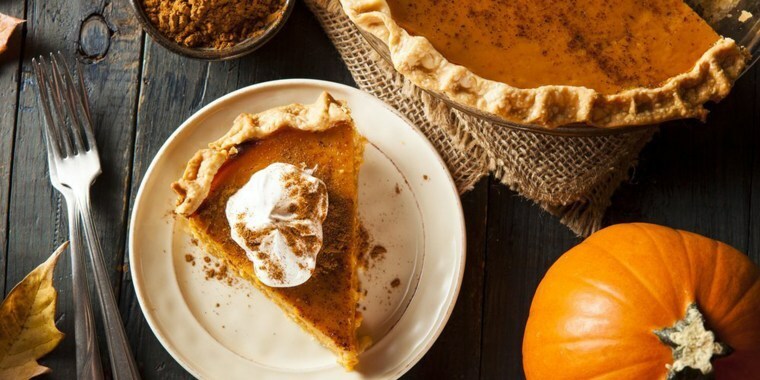 How do you make a store-bought pie look homemade? "All you need is some melted bittersweet chocolate and a fork," Clark told TODAY Food. "Drizzle melted chocolate all over pie, then let it set. It's pretty, plus, you get to add chocolate to the meal and it's super-easy." Pro tip: Bittersweet chocolate chips are very good choice for this trick. If more color is desired, consider using a combination of bittersweet, milk and white chocolate chips. Just be sure to use a different fork when drizzling each type of chocolate. Instead of using forks, consider pouring the melted chocolate into a zip-top bag. Cut off a corner and use each bag as a makeshift pastry bag. The bag can be tossed after the pie is decorated. The chocolate can be melted in a microwave or in a pan over low heat. Get creative by drizzling abstractly or create a pattern. It's easy to write things with the plastic bag method, too. Try a "Happy Turkey Day" or "Yummy Pie!" Of course, there's always room for pie.